Community college's enrollment is down from its peak of 6,633, at height of recession. 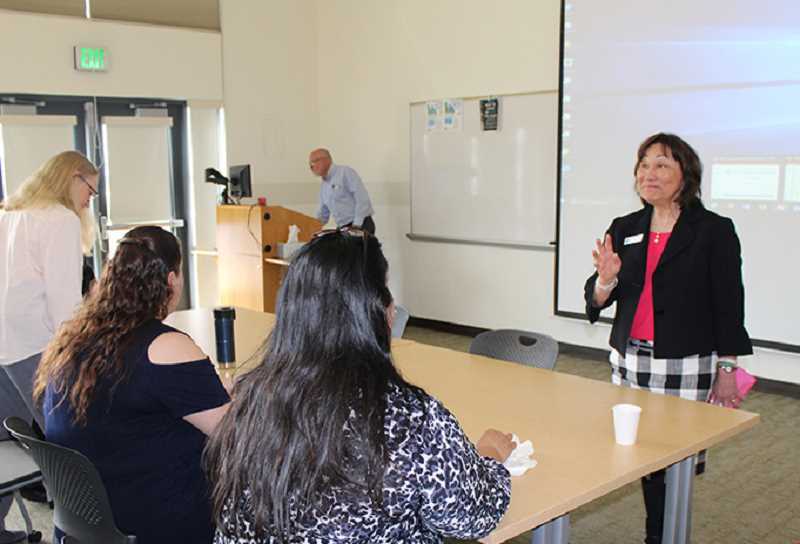 A team of administrators from Central Oregon Community College visited the Madras campus March 21, for a community meeting on the future of the college. Dr. Shirley Metcalf, who has served as the college's president for the past five years, will be retiring at the end of June; she will be replaced by Dr. Laurie Chesley, who starts July 1. Metcalf, Chief Financial Officer Dave Dona, and Vice President of Administration Matt McCoy discussed the challenges the college faces as it prepares its next budget. Dona said that the college will continue to work toward its mission of student success and community enrichment as it deals with the financial challenges of the past seven years of declining enrollment. Although the projected enrollment of 3,967 for 2020-21 represents an increase of 27 percent since 2006-07, when the enrollment was 3,133, its substantially lower than the peak enrollment of 6,633 in 2011-12, during the height of the recession. "This year saw fairly weak fall and winter terms," said Dona, noting that other key factors affecting enrollment include the state allocation, which may be down this year, higher Public Employee Retirement System costs, and unfunded mandates, such as tuition discounts and waivers, which are expected to add more than $800,000 to the college's costs. The governor's base budget includes an allocation of $543 million — down 4.7 percent from the past budget, up to a possible allocation of $647 million to maintain current services, which would be a 13.5 percent increase from the state for the 17 community colleges. "COCC's state support ranges from $6.1 million to $9.3 million," said Dona, who is basing plans on a total community college allocation of $590 million. "All other community colleges are also using $590 million as a starting place." For the 2019-21 biennium, PERS rates are expected to be almost 4 percent higher, said Dona, pointing out that PERS costs amount to 28.7 percent of an employee's salary. "That translates to about $900,000 in additional costs, and that doesn't include health insurance or taxes." "This year, we're the third most affordable out of 17 community colleges in the state," said Dona. "We're going to have to be aware of the landscape changing around us. Many colleges are deficit spending; we have a history of not doing that. We've been very fiscally responsible, but revenue isn't growing as fast as our expenses are." While the college has been living within its means, Dona said they are looking at increasing tuition and fees, and have a Presidential Advisory Team figuring out ways to find savings. "We're looking at all college resources," he said. The state provdes fewer dollars to COCC than other colleges, according to McCoy, who noted that COCC receives approximately 16 percent, while other receive about 50 percent. "Cost drivers are PERS and health insurance," he said. Community colleges are also seeking $70 million from the state for career and technical education programs, and $70 million for student support services. "As a college, we need to make strategic investments," said McCoy. 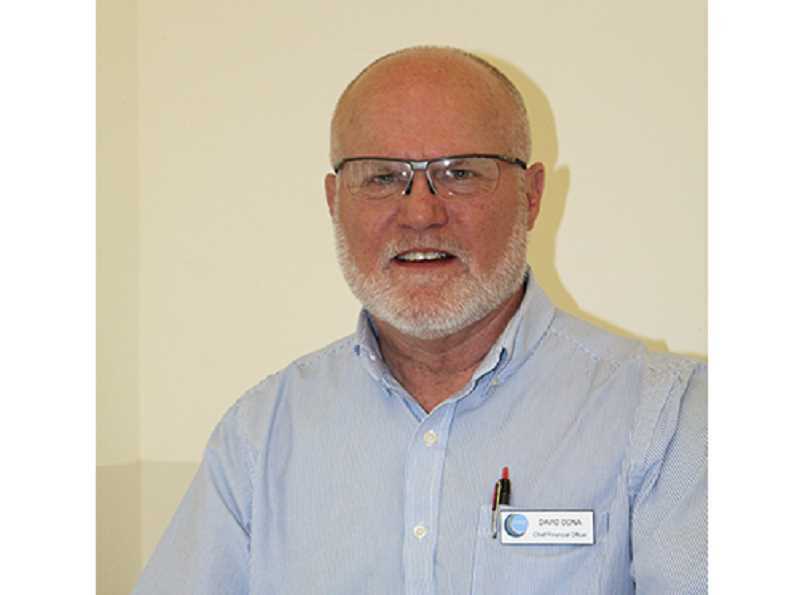 "We're acknowledging that we need help." COCC's strategic plan can be found on its website at www.cocc.edu/departments/college-planning/strategic-plan.aspx.